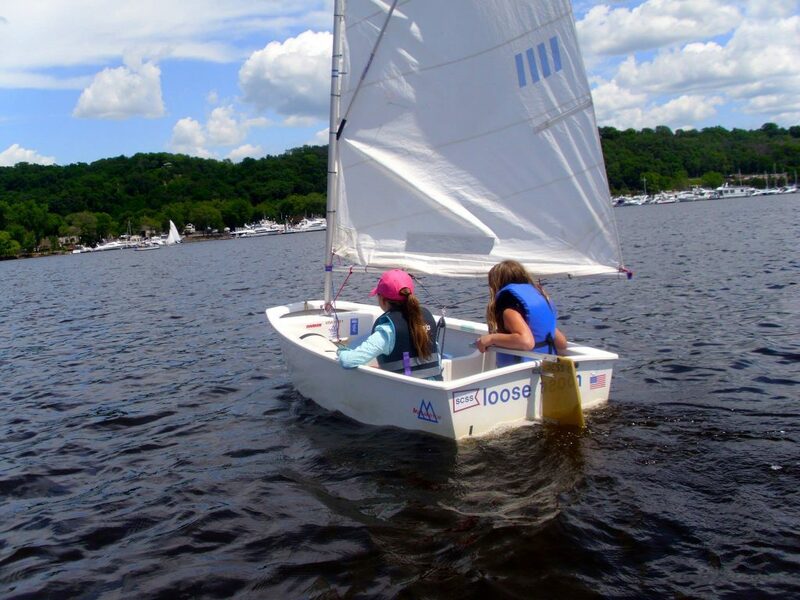 For our younger students, the programs and classes of the Saint Croix Sailing School are built around three types of boats : Optimist Dinghy, Club 420, and Laser. Each of these boats are prized for their particular features relative to age, weight, and skill levels of young sailors. If you have any questions about which boat or session to sign your sailor up for, please contact us! SCSS reserves the right to move kids to a different boat if we think that will provide better safety for the child, a better experience, and a better learning opportunity. The “Opti” was designed to teach sailing to kids and is popular throughout the world. The Optimist offers children a full range of sailing experiences from simply having fun and learning new skills to learning to race and participating in regattas. Because of its size and stability, it is an ideal boat for learning basic sailing skills while building confidence on the water. Once basic skills are mastered, young sailors can continue to refine their abilities all the way to a world championship. Twin Cities Youth Sailing offers local regatta opportunities most Fridays during the summer. The school will supervise and coach students who have the interest and proficiency to compete. School-owned Optis are provided to students enrolled in classes; this is generally the boat of choice for younger and lighter sailors (through approximately 120 pounds). The Club 420 is used world-wide as a junior trainer and is the de facto double-handed race boat of choice for junior sailors through high school and college. The boat is always sailed with a main and jib but can also be rigged with spinnaker and trapeze. The boat is simple and stable enough for first-time sailors yet offers challenges that keep world-class sailors interested. Locally, Saint Croix Sailing School athletes who have reached the appropriate level of proficiency will be able to participate in Twin City Youth Sailing events held on Fridays on area waters, as well as in the ILYA Youth Championship and other national-profile regattas. School-owned 420s are provided to students enrolled in classes. People say the J/22 is the best sailing boat they have ever been on, including other J’s. It’s responsive, stable with its fixed lead keel and safe, as much fun to single-hand with main only as it is to plane under spinnaker in 18 knots of wind. It is one of the most popular sailboats ever produced, with over 1,600 boats sailing in 65 fleets! It is extremely active in sailing clubs on Lake St. Croix and throughout the Twin Cities metro area. The Laser is the choice for the more advanced single-handed junior racer. Lasers are an Olympic-class boat and are raced throughout the world. The standard Laser hull can accommodate several optional rigs to match the weight and experience of the racer. The Saint Croix Sailing School offers Laser instruction and coaching to support young athletes at every level. 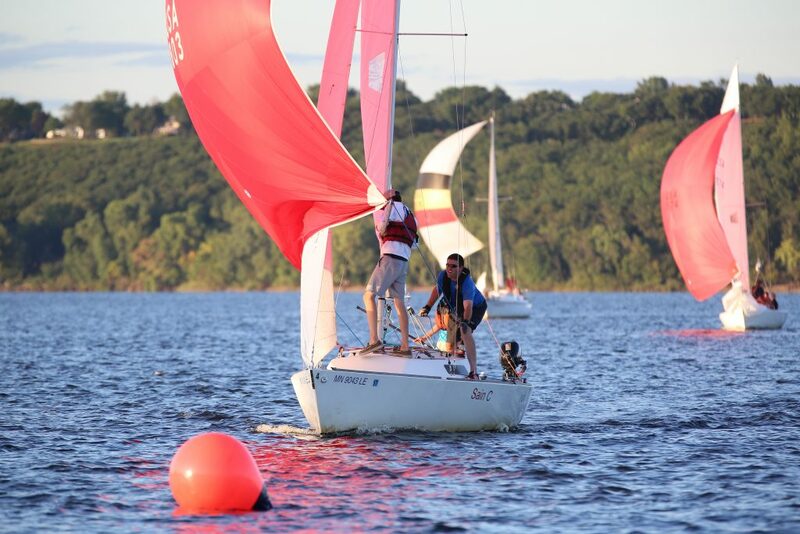 Laser sailors have many local options for racing, including Twin City Youth Sailing events, club racing at many local yacht clubs and Laser District 21 events. The school offers storage space for Lasers, but Laser sailors must provide their own boats.